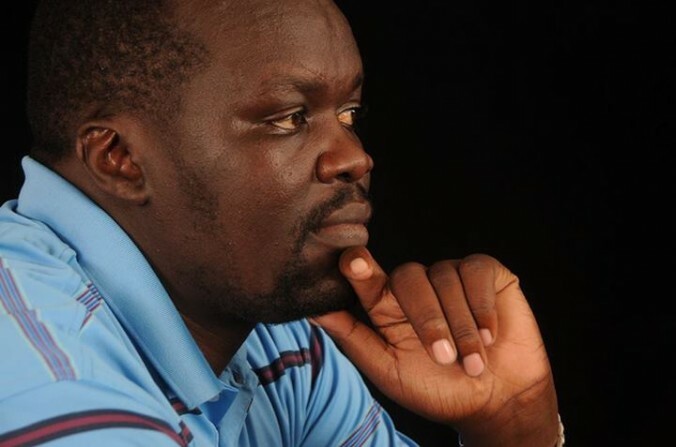 Kenyan blogger Robert Alai has utilized Twitter and Facebook to, over the course of the Westgate mall attack and subsequent hostage situation, deliver live coverage to over 100,000 people. Alai has earned praise from both fellow Kenyans and people following the situation abroad for his quick updates, a mixture of information from sources and official accounts. â€œOn behalf of Kenyans in Australia, thanks mate for keeping us updated,â€ said Daniel Ngari via Twitter to Alai. â€œi followed all social media channels and live streams you were both reliable and timely on your info â€“ thank you â€“ good job man!â€ said Jude Clark, also via Twitter. The Westgate attack, begun by a group of al-Shabab militants on September 21 in Nairobi at the upscale Westgate mall, has continued into late Monday evening with hostages still being held inside. At least 68 have been killed in the attack; over 175 others have been injured. Alai said in an email that he was motivated to cover the situation for several reasons, including that the government wasnâ€™t putting out information in a timely manner. At different points in time, he criticized Kenyan broadcasters and other news agencies, and the government. â€œBuilding is on fire on LIVE TV while you claim it has been put out,â€ he tweeted. He also said that Kenyan news agencies werenâ€™t doing well reporting on the situation. â€œThis self censoring of Kenyan media will further complicate such attacks. Reality will set in soon,â€ he tweeted. At the same time, some of Alaiâ€™s information comes from official sources and local news outlets and reporters. Alai, a tech blogger, consultant, and social media strategist, is a controversial figure in Nairobi. Heâ€™s been accused of â€œhate speechâ€ and other similar allegations regarding online postings, and has been sued and arrested in several cases. â€œI have been arrested for defying the police and â€˜posting annoying messages on Twitterâ€™ before but I decided to take the risk [of live-tweeting the situation],â€ he told Epoch Times. Alai has over 82,000 followers on Twitter, having gained more than 10,000 over the course of the Westgate situation, according to one of his followers. Heâ€™s also followed by more than 25,000 people on Facebook, where his updates are less frequent (as is usually the case, because Twitter is geared toward faster updates) but shared and liked more. For the first day and a half after the initial reports of the attack, Alai stayed up for 32 hours. After sleeping for about six hours, he woke up and got back online. â€œMorning everybody. Talked to officers on the ground. Operation still ongoing. Some hostages killed and body packed in a room,â€ he said. Among being on the leading edge of multiple aspects of the reporting, Alai was one of the first to report that it may be the â€œWhite Widowâ€ behind the attack, saying that witnesses told him that there was a white woman among the al-Shabab shooters. He was also one of the first to report that the killed relative of Kenyaâ€™s President Uhuru Kenyatta was Kenyattaâ€™s nephew, Mbugua Mwangi. On the other hand, some people have been displeased with Alaiâ€™s reporting, and he himself has admitted that heâ€™s had trouble verifying everything that come through to him. â€œVerifying what was being sent to me was the hardest part of this job. Some send you untruths intentionally,â€ he said. At one point on Monday, he received over 200 images. One that he tweeted out ended up being a Wall Street Journal photo from a May explosion in Kenya. â€œSome of the photos are not authentic,â€ he said, and deleted the tweet with the old photo. All status updates and photos are going back in time chronologically.